Patrice recently wrote an update about her book proposal process and rejections for her memoir of the hike she and Justin did on the Te Araroa trail two years ago. We have been chatting via email off an on over the last year about book writing and proposals, commiserating in the the frustration of the book publishing process. It’s been nice to have someone to share the ups and downs of all of this, though so far for both of us it has been mostly a ‘down’ experience! Patrice’s post spurred me to write something about my own experiences thus far so I thought I’d share them with you now. So, refresher for anyone new to my blog. 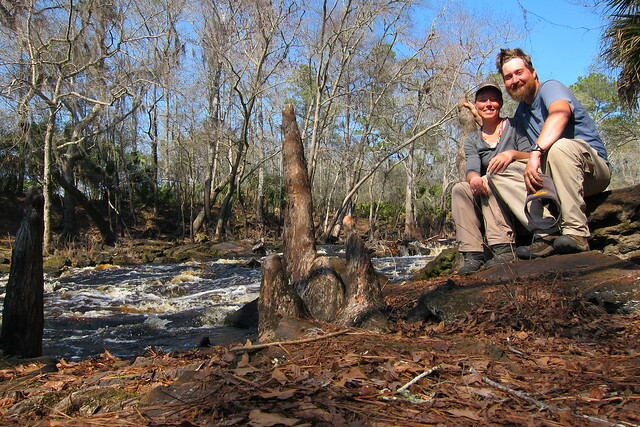 In 2011 Chris and I thru-hiked the Florida Trail after we thru-hiked the Appalachian Trail in 2010. Sometime later that year I started to write a book about the hike and I finally finished it in early 2014. Then I had Forest later in 2014 and I didn’t get around to doing anything else with the book other than sporadic editing until early last year, in 2016. I briefly mentioned last spring that I was putting together book proposals but I haven’t done much writing here about what has gone on with it in the last year. The short answer is there’s absolutely nothing going on with it right now and the long answer is much more detailed than that! For those who are unfamiliar with the publishing world, and it isn’t like I’m all that familiar with it—I only know this small portion I’ve been dealing with, getting a book published is a difficult process. Back in 2002-2003, after we moved to Florida, I began getting interested in taking writing seriously. I was working in a microbiology lab and one of my coworkers liked to write poems and so we both talked about writing often. I tried to sign up for an adult education writing course at the local community college in Melbourne, Fl but the class ended up canceled before it began because not enough people had signed up. In all of my talks with my friend/coworker she gifted me a subscription to The Writer magazine so I came to understand some of the process of query letters and such when submitting a manuscript. Later on, writing got swapped around for photography and other creative endeavors for a long time so the subscription lapsed, and other than blogging I didn’t do much writing for a long time. When I started writing my Florida Trail book I knew that it was going to be a fairly niche book market but I still wanted to write it anyway. As it came time to settle in to write query letters I realized that submitting non-fiction books was a little different than fiction books in that I needed to also write a book proposal. Typically non-fiction is pitched to publishers or agents before it is written, in the form of a book proposal. Memoir is more aligned like fiction in that you should have your book completed, or close to it, before submitting a query and proposal. So, say you want to create some kind of cook book or craft book, you put together this giant proposal, anywhere from 40-100 pages in itself, with information that includes not only the synopsis, but an outline of the chapters, target audience, similar books on the market, your marketing platform (because in this day and age you are the marketer), sample chapters, how you envision the book to look, and even a bio or resume. This is the basic information but it can vary depending on publisher. Needless to say my eyes were opened to what was needed and it took me a good month to get everything in order and start formulating a proposal. The good thing was my book was written so I wasn’t just fleshing some idea out; however it was still a headache to research everything that went into it and then try to decipher how I should space paragraphs and making sure I paginate everything and put a header in here or a footer in there. As for determining publishers, I began generating a list of who accepted submissions straight from the author and searching for book publishers who specialized in the outdoors. Amazon was helpful with this as was just pulling off outdoors books from my bookshelf and seeing who published them, and then looking the company up to find out if they accepted submissions from authors or if they only took submissions from agents. I had about 10 publishers last spring that I wanted to submit to, those who were small-to-mid sized publishing houses that would fit my book’s platform and began from there. Once I had one proposal formatted I began manipulating it and tailoring it for other publishers. Ideally I thought that the two publishers in Florida I was submitting to, University Press of Florida and Pineapple Press, would be my best bet. And really, they probably would have been, particularly UPF, but I received rejections from both fairly quickly. 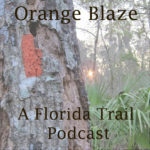 The former had already published a book on the Florida Trail by another author and didn’t want to have two Florida Trail memoirs on their book list and the latter was shrinking how many books they published each year and it my book didn’t quite fit their current publishing themes. Bummer. And then I’d slowly get a few more rejections here and there. For the most part all of those submissions last spring were via email with a few sent via the postal service. And generally all of the publishers I submitted to said it could take 2-6 months to get a response. Other than about three, I’ve heard from all of the ones I originally submitted to. However, it is pretty easy to assume that I won’t be hearing from the others after this long. Another bummer. So, I had given it about six months and started resubmitting once again back in late October. I found another 10 or so publishers to submit to and began working my way through that list. This time I tried to find more regional publishers because the outdoor publisher list that had been most promising had been exhausted already. I was also looking for more university presses, including my alma mater. I heard back from a few publishers within days with rejections and got a slight bump in excitement when one university press responded that everything looked good and he’d circulate it around the office and I’d hear back in a few weeks. That was around early November and then the holidays happened. I never heard back from him and I sent a follow up email a few weeks ago but again, no response. So. I’m just patiently waiting now. Right now I’m unsure of where the book will end up. It’s a wait-and-see game with writing and getting a book published the traditional way. I could continue to find small publishers to submit to or branch out and try working with an agent. I’m worried about both of those aspects because some of the smaller publishers seems so small that I wonder how much different it would be to have them publish it versus me just self publishing—is there much of a difference? And with an agent, if this isn’t going to be submitted to a reasonably sized publishing house with a national marketing audience, how much money am I going to be losing to the agent compared to just submitting it on my own? I mean, yeah, it would be awesome if some imprint of Random House or HarperCollins picks up the book but I’m not deluding myself here. If you have experience with very small publishing houses and/or agents, please let me know what your opinions are on this. In all, I’ve submitted to 19 different publishers and have had 8 formal rejections. However, in talking with Patrice I can probably scratch off another four or five based on her submissions to those same publishers I haven’t heard from—she received rejections based on the fact some aren’t publishing memoir right now or the publishing house merged and there was another reason. In reality, I’m now only waiting to hear from just a few publishers. My next steps are maybe to research other publishers to submit to once again here in a few weeks or just bide my time for a little while longer and wait for a response from the last round of submissions. I’m crossing my fingers I will hear from the two university presses I submitted to back in early November. But in all honesty? I’ll probably be looking into self publishing through Amazon later this summer. This isn’t a bad thing—I just wasn’t hoping to go that route. There are quite a bit of hiking memoirs on Amazon and a ton of other books in different genres being self published there. It will just be another learning curve for me that I hadn’t wanted to wade into quite yet. It’s almost time to get my feet wet, though. And that’s where I’m at with my book. In all of that I have also started writing another book (another non-fiction) and have ideas for two fiction books that I might start next year. Yes, the writing bug has hit me. If you have any advice or connections (!!!) I’m open for suggestions. I worked with a guy at Philmont that published a book. P.J. Parmar. His book is 101 Countries. Google it. Should be the first thing that pops up. I think he went through virtualbookworm. Don’t know anything about it, but just throwing what little I can give. I think non-writers are surprised at how difficult the industry is now. Even as a writer, I hadn’t kept up with it and was shocked when I started to look into the actual process! So hopefully your detailed blog post can help others. I also think it is difficult to decide which route could be best–traditional publishing with a small house, trying to get into a big house with an agent or self publishing. We both put all our efforts into option A, so when is it time to say enough is enough and try a different option? Like I’ve said in my post, books like Chicken Soup for the Soul took 150 rejections until it scored … and for them, it was well worth the wait. Good luck with this next round!!! A friend of mine has just published a book and I’d love to have y’all talk. He gave me some info if someone buys if off Amazon vs his website. Remind me and let’s talk about it soon.